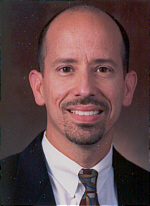 Dr. Pérez, a native of Cuba, moved to the United States at the age of 9 years. He began private practice in Charlotte in June 2001. He is married with 3 children. He was previously an associate professor of surgery (pediatric urology) at the University of Alabama at Birmingham (UAB) School of Medicine. He was on the UAB university faculty for 6 years, practicing at the Children's Hospital in Birmingham, a freestanding private children's hospital. He has written or co-authored over 40 original scientific articles and book chapters. He has made over 80 national and international original scientific presentations. He has traveled to Ecuador, Honduras, and El Salvador on medical mission trips. He was board certified by the American Board of Urology in 1997. Dr. Owumi recently completed a Fellowship in Pediatric Urology at Stanford University (2014) after which she started in private practice in Charlotte, North Carolina (January 2015). Dr.Owumi completed her medical school, general surgery residency and fellowship training at Stanford University. Her comprehensive medical training in such an esteemed research institution afforded her many research, clinical and volunteer opportunities. Dr. Owumi’s scientifc and medical research achievements and interests have been duly recognized and reflected in her numerous scientific presentations, publications and awards at various conferences. Dr. Owumi’s interests also extend to mission work and other volunteer activities, such as with The International Volunteers in Urology (IVUmed), most recently in Swaziland and Uganda. Furthermore, Dr. Owumi is actively involved with a mobile health clinic non-governmental organization in Nigeria, HEFMAC (Health Foundation for Maternal and Child Care), which provides medical education, screening and free medical and surgical care to rural communities. 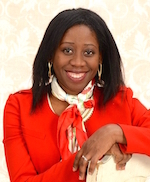 Dr. Owumi is married with 3 children and lives in Charlotte, North Carolina.